Darkness engulfs our sight when we close our eyes, but our minds are wide open, ready to explore the world around us in as many ways as possible. Anything can happen; existence is an infinitum of potential, the future a certain uncertainty. Truth lies in the self: In knowing who or what we are, in believing in learning and the power of decisions; in understanding determinism and fluidity. With its intricate sonic layers and heavy, unfamiliar tones, Uni Ika Ai’s “Zen Squid” music video brings listeners into the realm of conscious contemplation and deep introspection. Atwood Magazine is proud to be premiering Uni Ika Ai’s music video for “Zen Squid,” the final track off the group’s debut album Keeping a Golden Bullseye in the Corner of My Mind (October 2016). Comprised of music veterans Maia Friedman (Bobby), Peter Lalish (Lucius, Elizabeth & The Catapult), Tom Deis (Via Audio), and Dan Drohan, Uni Ika Ai [pronounced: oo­-nee ee­kuh eye] is a new Brooklyn based dream­-pop/art-­pop band rooted in experimentalism – which essentially means the group has no root at all. Abstract material – mostly improvised snippets of varying qualities – comprises the bulk of Uni Ika Ai’s music; that is, abstract material that was brought together and given melodic and structural semblances, eventually forming fully-realized and awesome (read: full of awe) musical pieces. Cold synths form a warm alien base for “Zen Squid” as the experimental soundscape breathes, heaving up and down in cavernous sweeps of sound. It’s the kind of music science fiction horror films are made out of, but it doesn’t have to be: It’s also the perfect soundtrack to escape into your own mind. An electronic voice in the background whispers the repeated lyrics, “I will roll in these waves, I will move as moved, I will tumble and dive…” The mantra gains power in its repetition, dragging the listener into a dazed state of wonder. The dancing and the waves in the music work together as a celebration, peacefully accepting the chaos of life. 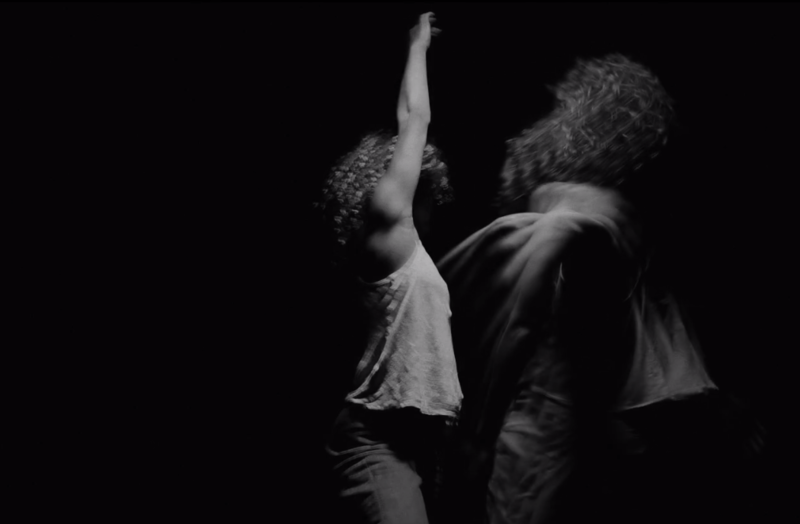 Lathered in dark mystery, the video highlights the song’s ethereal, atmospheric nature through equally surreal dance, performed by Emily and Elanor Bock. 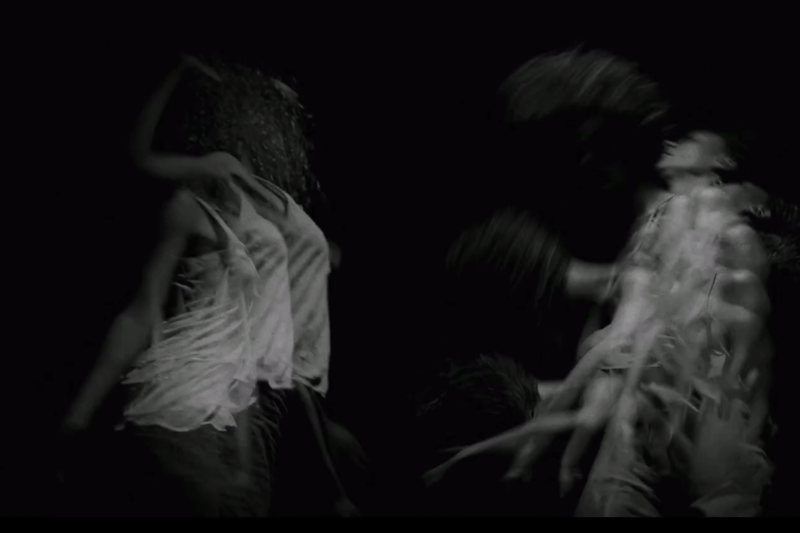 Director Alex Munro captures the Bock sisters’ spirited movements, overlaying film to create an eerie ghost effect that enhances the song’s natural disorder. Says the dancers, “The song Zen Squid is such a lovely and eerie tune, with subtle rhythms and cascading vocals that made for such a rich improvisational experience. As dancers from such different techniques, part of what we played with in the music video is how to find ways of moving similarly through the music.” Indeed, the Bock sisters’ movements are vast: Their body parts extend to make as much use of the dark surrounding space as possible. The dancers’ grace moves with the music, giving the foreign sounds a human quality. In doing so, “Zen Squid” doesn’t feel so strange anymore. Uni Ika Ai’s music is enveloping; it is its own sonic world. Uni Ika Ai invite us to join them in that world through “Zen Squid,” arousing our ears and provoking our eyes through their mesmerizing seven-minute performance. 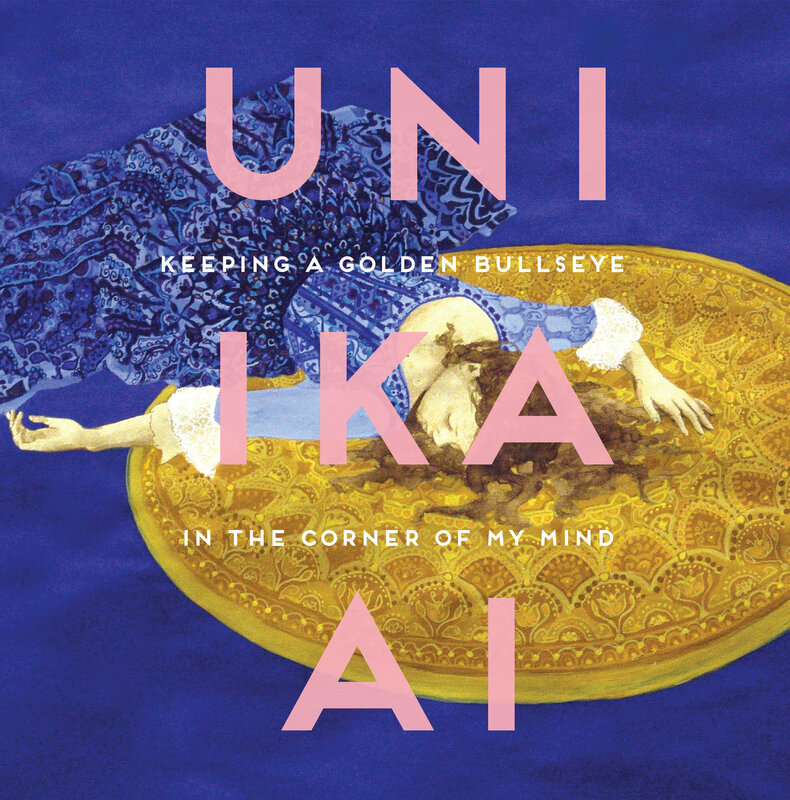 Experience Uni Ika Ai through our exclusive premiere of “Zen Squid,” and get to know the band via their debut album Keeping a Golden Bullseye in the Corner of My Mind, out now! With expansive, meditative sounds that emote dark and raw feelings, Uni Ika Ai blend chaos with order to create something magnificent.